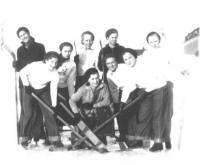 L-R: Edna Huhta, Edna Luoma, Martha Tami, Martha Torrika, Edna Heikkala, Jennie Birk, Lena Defillippi. 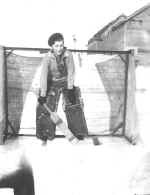 When the Osceola Women's ice hockey team of 1926 showed off their prowess, it was Mrs. John Birk who Captained the Store group to Challenge other copper mining locations in the Keweenaw Peninsula. 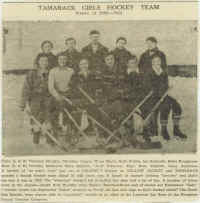 Although women's was popular in Canada at the time, local promoters felt the speed and skill of the female hockey players could take off and become a popular sport. 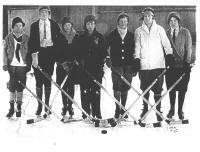 With two women's hockey teams in Osceola at the time, the Store team went on to defeat a strong Calumet team in a fast and exciting game witnessed by nearly 300 fans." L-R: Angeline Sachen, M. Lamminen, Annie Ninko, Mary Ninko, Martha Torrikka, Martha Williams. According to a news clip, the Osceola team, coached by June? 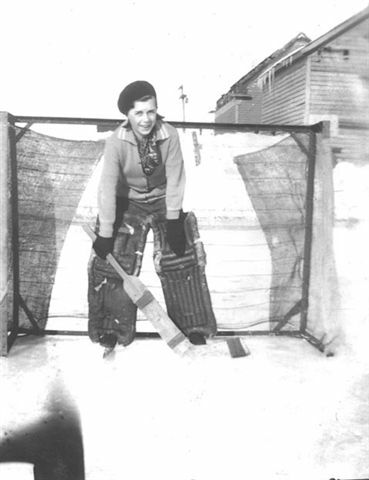 Birk, beat the Calumet Ladies 4-1. Miss Jewel, Kranz, Burkman, Goulet, Ricca, Sturos. Calumet, 2 teams from Osceola, Tamarack and Allouez. Please contact webmaster if you have any pictures or info about local Women's teams! 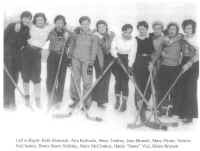 Back Row Lt to Rt: Coach Ray Moyle, ?, Myrtle Hoganson, Irene Pinch, Estelle Cloutier, Millie Berg, Coach -?. Front Row: Norma Sturos, Ruth Berg, Haxel Bergroth, Marian Moyle, Ruth Wiitanen. Their home ice was the Laurium Car Barn of the Houghton County Traction Company. Back L-R: Lucille Luoto, Julia Pleshe, Della Deforge, Esther Sivonen, Mary Klarich. 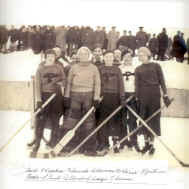 Front L-R: F Kopatick, F Skoviak, Irene Sivonen, B Juntonen. Photo courtesy of Robert Witting, grandson of Mary Klarich Witting. Back Row L-R: Dorothy Anderson, Mary Stiglich, Jan Primeau -Mgr, Rose Stiglich, Irene Anderson. Front Row L-R: Veronica Murphy, Christine Stopar, Nina Murto, Ruth Bolton, Ina Kallunki, Helvi Kauppinen. 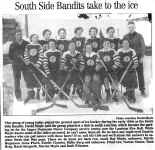 1930's women's league included: South Side Bandits, Pine Street, Raymbaultown, and the Tamarack / Yellow Jacket team. Back Row L-R: Adele Pizzi Nikula, Hilda Selleng, Doris Jarvi, Evelyn McCarron, Emma Sved. Front Row L-R: Signi Maki, Marion Goudge Chaput, Mildred Kantola, Lempi Leinonen. Photo courtesy of Adele Pizzi Nikula family? 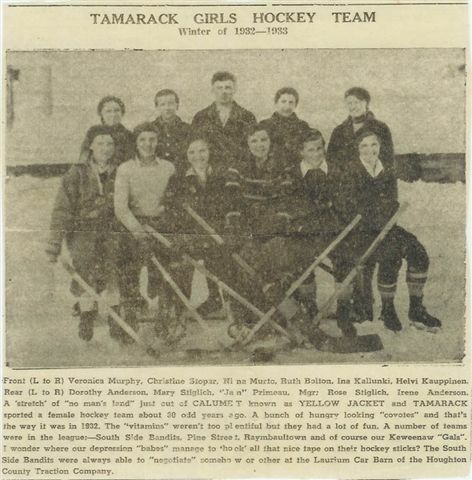 L-R: Ruth Richards, Aita Richards, Mary Tredray, Jean Brunett, Mary Pintar, Valerie McCloskey, Boots Hearn Sibilsky, Mary McCloskey, Hattie "Stone" Vial, Helen Brunett. Please contact webmaster if you have any pictures or info about other local Women's teams!